Elefant Traks signed Coda Conduct, with a new single out this week. 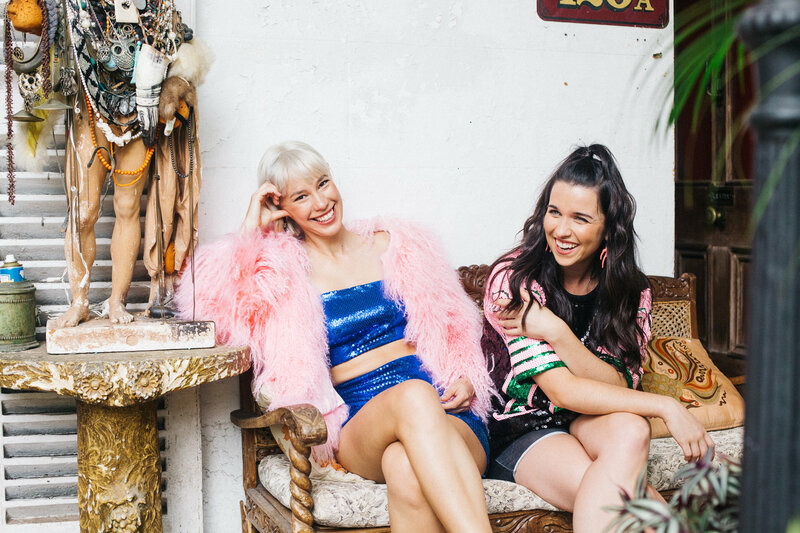 Originally from Canberra and now residents of Sydney, the witty and cheeky electro-hip hop duo Sally and Erica met when travelling with mutual friends through India. They also present regularly on triple j with their own show on FBi. Sophie does poetry slams and Coda Conduct’s first gig was at a poetry reading. Erica plays harmonica and guitar and Sophie plays the piano. Elefant Traks label manager Tim Levinson details: “I’ve been following Coda Conduct for years. “I love the way they contribute to the community around them, I love the wit and intelligence that goes into their performances and radio shows. “Most of all the dynamic between Erica and Sally is utterly unique – it’s impossible to manufacture that. “We look for artists that will stand as equals with our incredible and diverse roster. Coda do that. Coda Conduct said: “We’ve been fans of Elefant Traks since we were kids walking home from school with new headphones and 500mb mp3 players. The Elefant Traks roster includes Hermitude, The Herd, OKENYO, B Wise, Horrorshow and L-FRESH The LION.